As Agile methodologies are becoming the standard in software development, late adopters are rushing to transition to iterative and incremental development. Large enterprises, however, need some guidance on how to adopt Agile at scale. 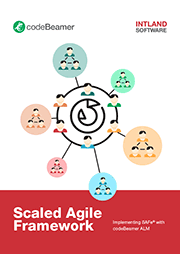 This prompted the creation of several frameworks for scaled Agility, the most popular of which is SAFe®, the Scaled Agile Framework.